The Doping Control Station in the Laura Biathlon Center during the Sochi 2014 Olympic Games in Krasnaya Polyana, Russia. 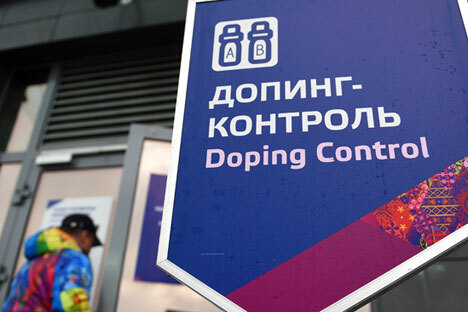 Russian Sports Minister Vitaly Mutko sent a letter to the World Anti-Doping Agency (WADA) informing the agency about the current situation in the sphere of anti-doping fight in sports, a senior sports official told TASS on Wednesday, July 6. Sports Minister Mutko wrote in his letter to WADA: "Russia understands that doping problems in the country have deep roots and they cannot be eradicated within a short period of time. It takes decades for cultural changes to take place and some athletes will carry on with their attempts to cheat on regulations in order to achieve unfair victories and derive enrichment."